Just now recovering from that long drive from Houston to Branson, MO to attend the CSSA convention. ASOB was well represented with myself, Dave McCarthy, Mike Hartup, Richard Sobeck, and Bill Bailey. The Oriental Band competition had eight bands plus two Shrine Centers combining to form a band. The planned Bally Hoo was canceled because of rain but managed to get enough to put on a show Thursday night. 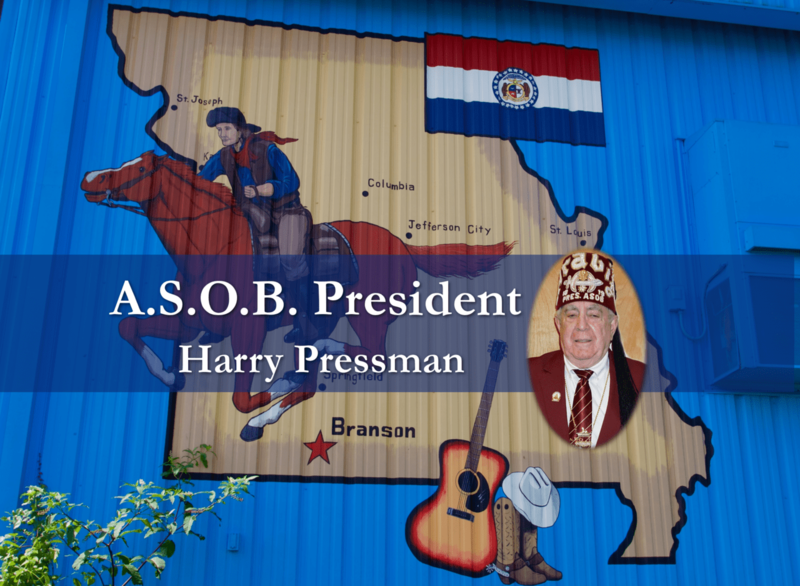 Friday was competition and Friday morning the CSAOB had a breakfast and that night had a dinner at the Branson Masonic Lodge for all the Oriental bands. The parade through downtown Branson was held Saturday morning and all the units who competed in their respective classes participated (Clowns. Patrols, Motor Corps, etc.). Left for home early Sunday morning and arrived completely wiped out Sunday night. I’m putting the finishing touches on the ASOB mid-winter to be held at the Houston Marriott South Hotel October 12, 13. Planning to have a great weekend. We have a lot to discuss. We have a new Ambassador for the Northeast region. He is Chris Parker form Mehla Shrine. Looking forward to working with Chris. Ambassadors, PLEASE get articles to Darren about your regions. Everyone would be interested in what is going on in your region.